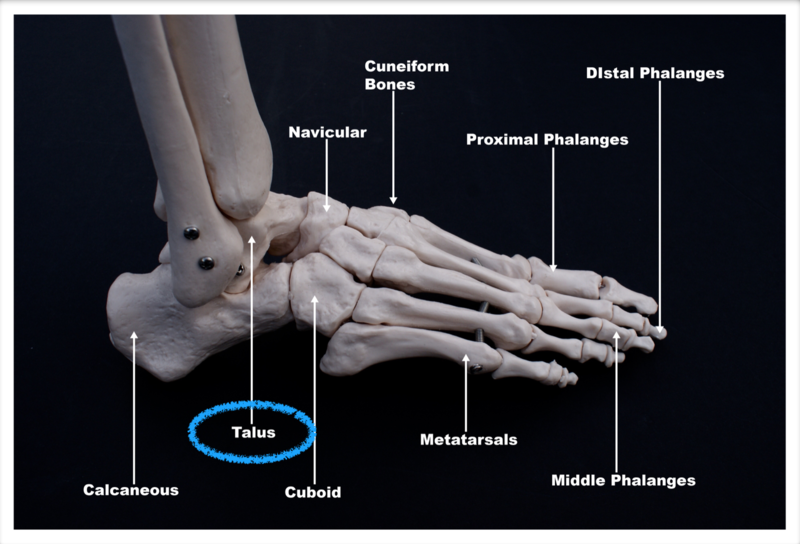 The talus is one of the most fascinating and indispensable bones around the foot and ankle region. It acts to connect the foot to the ankle and is the pivot point for motion. The talus is almost completely covered with cartilage and because of this is particularly susceptible to arthritis. Add to that its very complicated and tenuous blood supply making it very prone to bone death and collapse. This may happen after an injury or as a result of certain medications such as steroids. The talus is unique in that it does not attach to tendons or muscles and is held entirely within the ankle by ligaments. The talus allows for the up-and-down motion of the ankle and is essential for proper movement needed for normal gait. Because the talus is so important for proper ankle movement a fracture may result in significant loss of motion and function. This results in chronic pain and for this reason a surgical approach is usually necessary. What is a talus fracture? Fractures of the talus may occur in any part of the bone. The most common fracture occurs in a portion called the neck. The neck of the talus connects the head with the body which is invested in the ankle joint itself. Another common sight for a talus fracture is located along the outside section of the bone near the heel known as the lateral process. Lateral process fractures often occur when the ankle bone is sandwiched to the outside of the heel during impact and is a common snowboarding injury. Less than of talar fractures occur in the head region and may occur in either isolated or in conjunction with other talar injuries. Long-term outcome for the treatment of these rare fractures is not well documented. Although Talar body fracture is more common than Talar head fractures, they are rare nevertheless and account for 0.62% of all fractures that are treated. 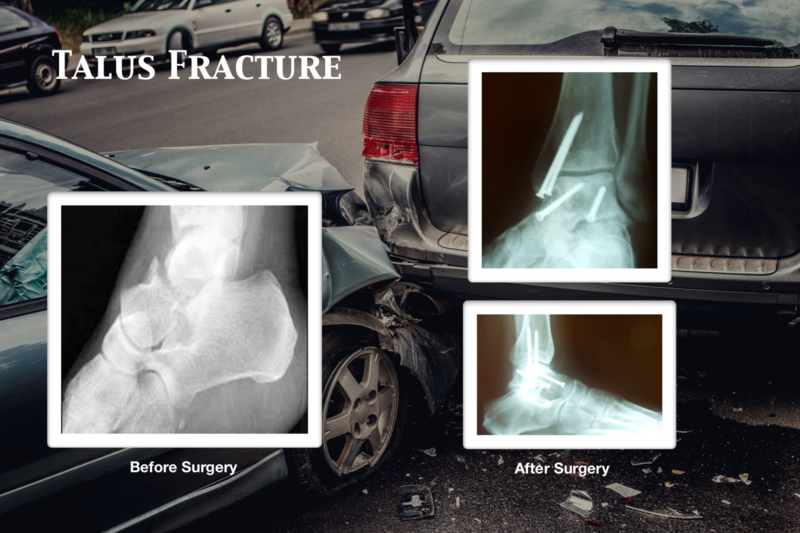 These fractures often occur from high-energy impact such as motor vehicle accidents. They are life altering and commonly result in chronic pain secondary to poor healing and post-traumatic arthritis of the ankle joint. Treatment for the minimally displaced or stable fracture can sometimes be treated with immobilization such as a cast. This scenario, however, is the exception and not the rule. Most talus fractures, particularly displaced fractures require operative treatment in the form of surgical reduction with screws. This is necessary to restore alignment and allow for the best chances of proper healing and normal movement of the foot and ankle. Because most talar fractures are a result of high impact loads, the broken portion of the bone can break through the skin. These are called open or compound fractures which have a higher risk for complications and infection and may be considered a surgical emergency. Imaging of talar fracture will begin with a standard set of x-rays and this will often be followed up with a CT scan. Imaging is very important as it allows the surgeon to properly assess the location of the fracture in three dimensions prior to surgery. Symptoms of a talar fracture include acute pain, and the inability to walk or weight bear on the foot, and severe swelling, bruising and tenderness. Location of pain and type of pain or discomfort can vary depending on the type of injury to the talus listed below. Chip fractures typically occur due to the position of the foot during the injury and the directed of the force against the foot which would only involve a small portion of the foot. Usually occurs near a joint and typically at the top of the foot. The following is an example of a chip fracture sustained from a fall with impact on the top of the foot indicated by the circle on the x-ray seen on a lateral film. This will heal well with cast immobilization. 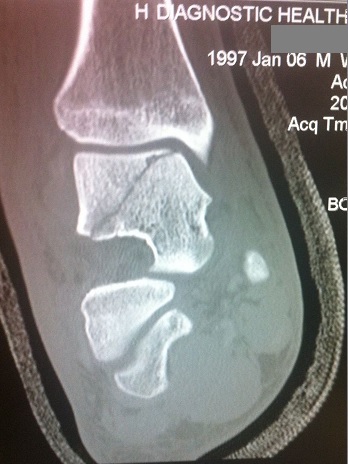 MRI of Talus Head Chip Fracture due to compression during an injury. Talar neck fractures can be devastating injuries that can occur from forcing the foot up into the leg. It can occur in motor vehicle accidents when somebody pushes their foot down on a break or pushes their foot down on the floorboard at impact. Injuries to the talar neck in pediatric patients are treated similarly to the way they are in adults. 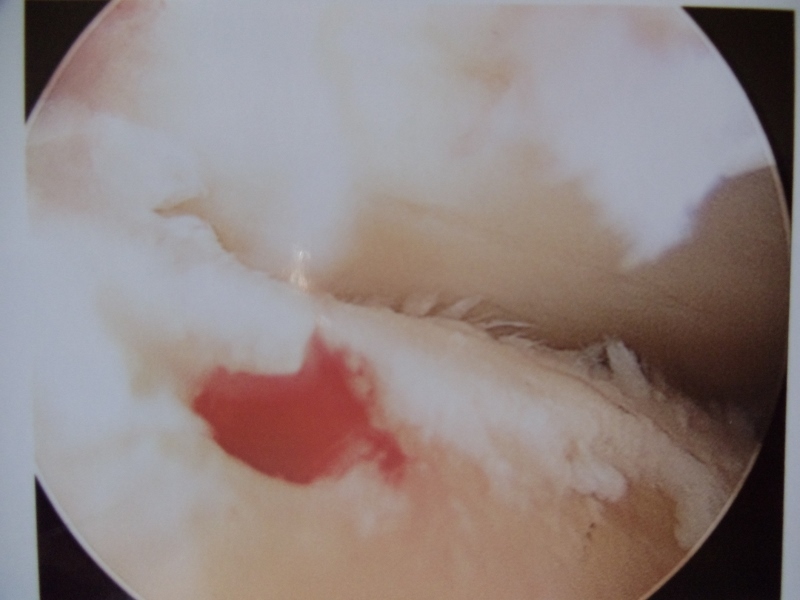 All nondisplaced fractures can be treated conservatively with a cast below the knee. These must be treated non weight bearing until the fracture has healed. Other fractures may be displaced, which also disrupt the blood supply to the bone. Although these are uncommon, they may be devastating injuries to the bone and the joints around them. 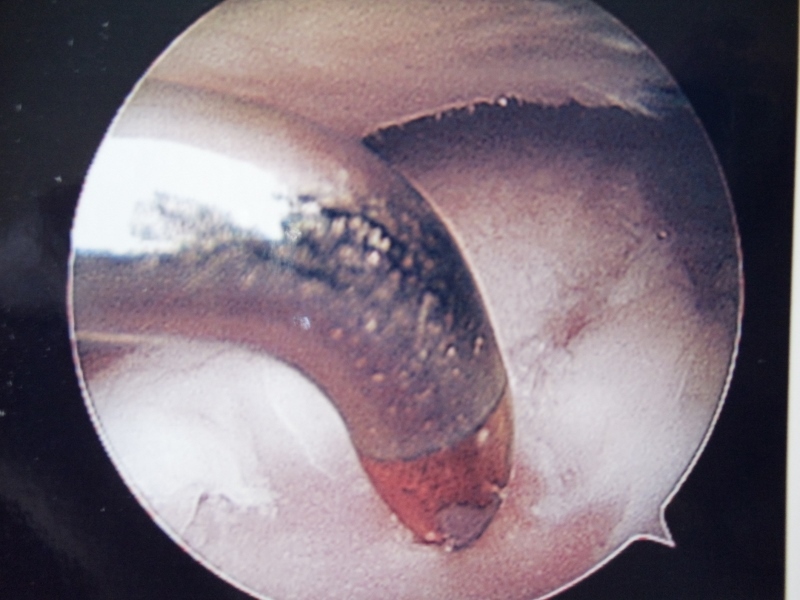 Fractures would need to be immediately reduced and fixed to avoid long-term problems. Even with the best procedures and fixation of these fractures, small areas of bone can still be devoid of blood supply, creating problems. Signs and symptoms of talar fractures include diffuse swelling and pain throughout the ankle and that portion of the foot. Difficulty moving the foot will be common. In severe cases, the bone can actually pop through the skin and the joints can dislocate. X-rays are necessary to evaluate the fracture. In some cases, CT scans may be needed to fully evaluate the injury and determine its approach and treatment. The long-term prognosis of talar fractures depends on the degree of injury to the bone and cartilage. 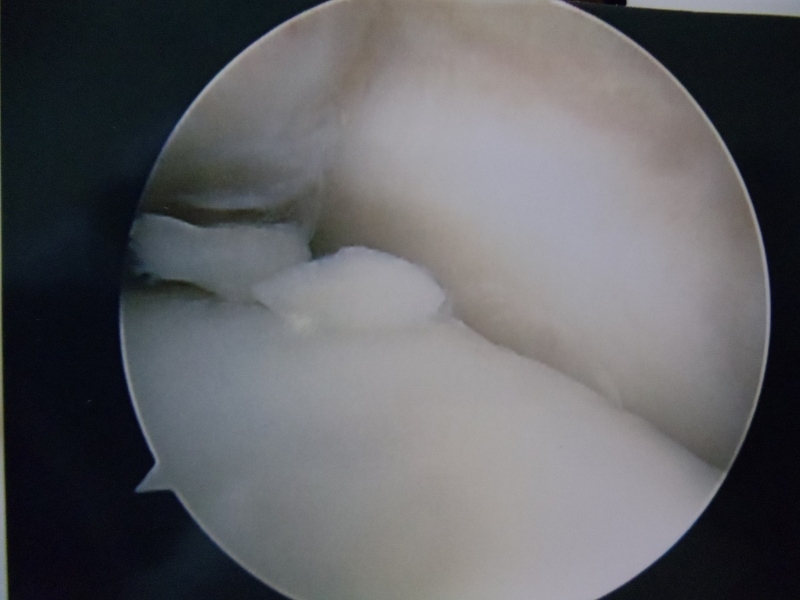 Osteochondral fractures may be treated conservatively by placing the patient in a cast below the knee, avoiding weight bearing for at least eight weeks. This will be followed by a walking boot to maximize the healing process. 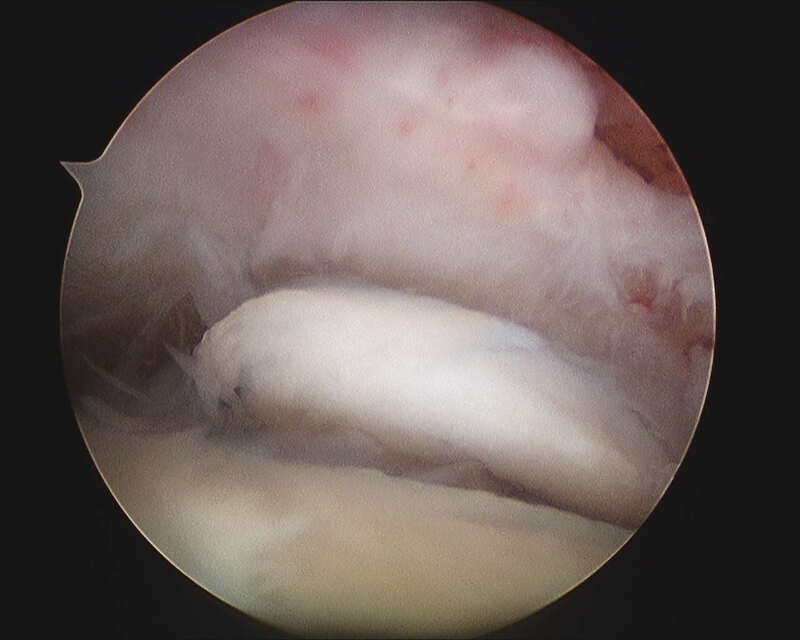 If the persistent pain is present, arthroscopic surgery may be necessary to debride the fracture fragments and microfracture the joint surface to help develop fiber cartilage. 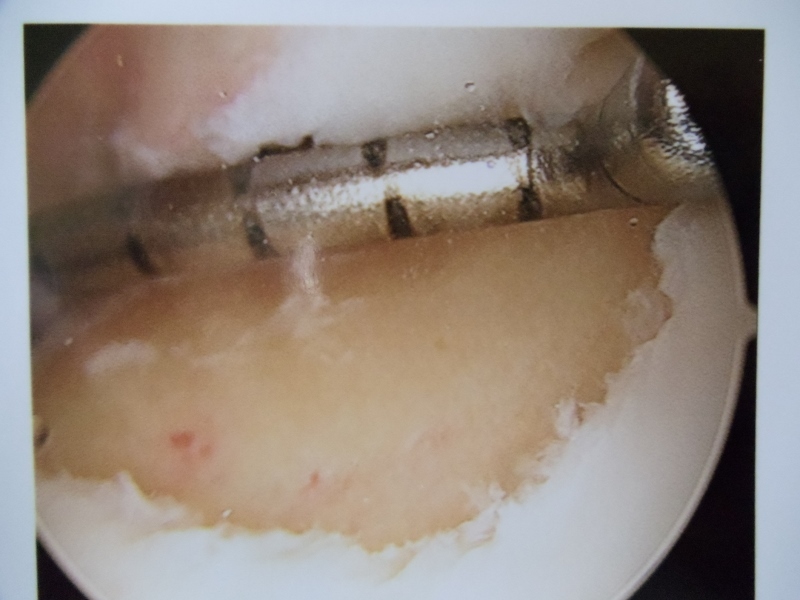 This would resurface the bone with cartilage that is not as durable as real cartilage that we are born with. However, it does help to minimize the problem. Talar neck fractures that are nondisplaced will generally go on to uneventful healing. The prognosis for fractures that involve the neck of the talus and affect the blood supply to the area may be very poor. Small avulsion fractures that are treated have an excellent long-term prognosis and will allow the child or teenager to return to all sports and activities without any long-term problems. 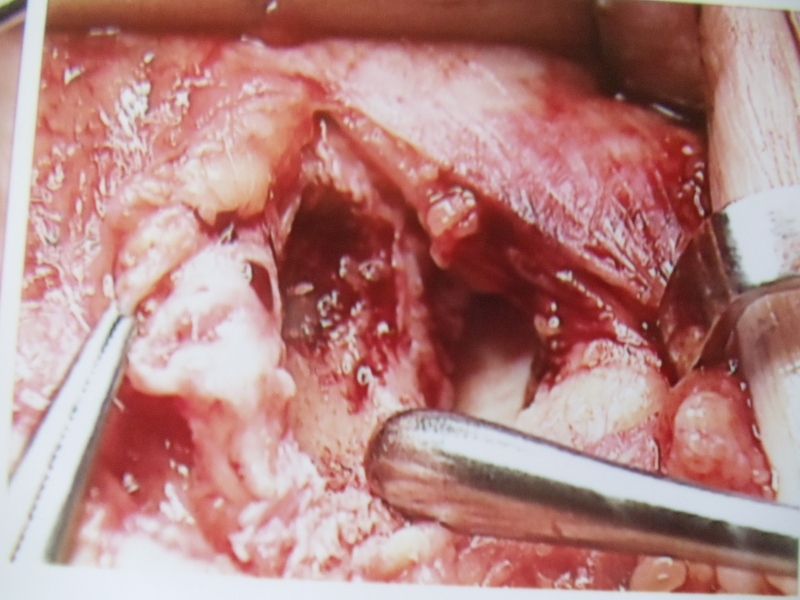 These are pics status post repair of the medial malleolar and talar neck fracture. 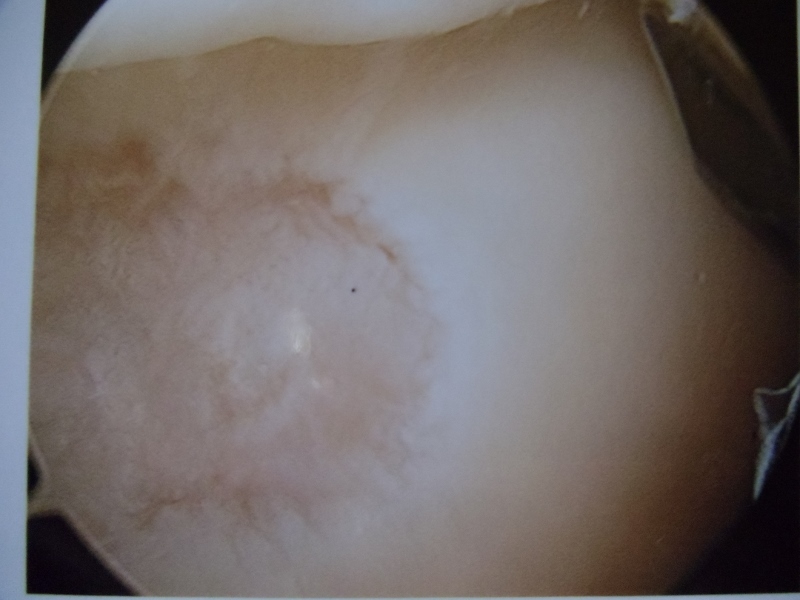 Appearance of decreased subchondral bone density in the dome of talus 6 to 8 weeks following injury indicates that there is sufficient vascular supply to bone to allow normal disuse osteopenia to occur. 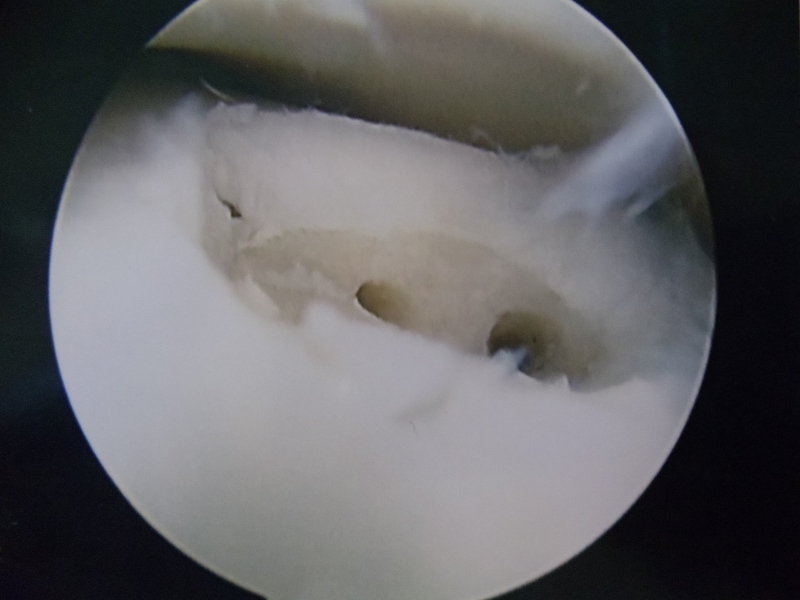 Resorption of subchondral bone is a consequence of disuse osteoporosis and suggests that the bone segment has adequate circulation, and that normal healing is occuring. Below is a CT scan of a Talus body fracture extending from the subtalar joint into the ankle joint. 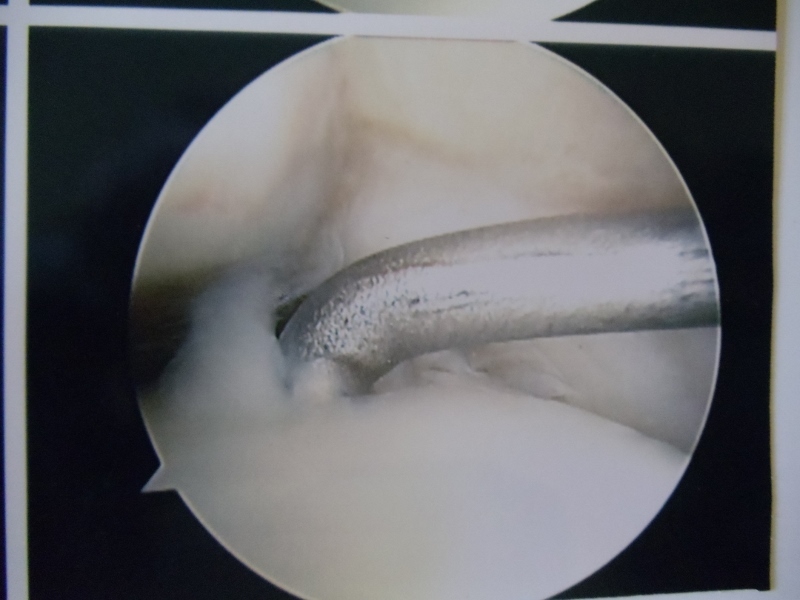 Any change of the joint line could cause long term problems in the joints affected making treatment of this type of injury critical. The images below is that of a Talus fracture seen on CT (Computed Topography) scan of the foot. There is minimal displacement in this image with some comminution as the fracture progresses into the subtalar joint (left). Image to the right depicts a body fractures that is displace and intra-articular in both the ankle joint and the subtalar joint. 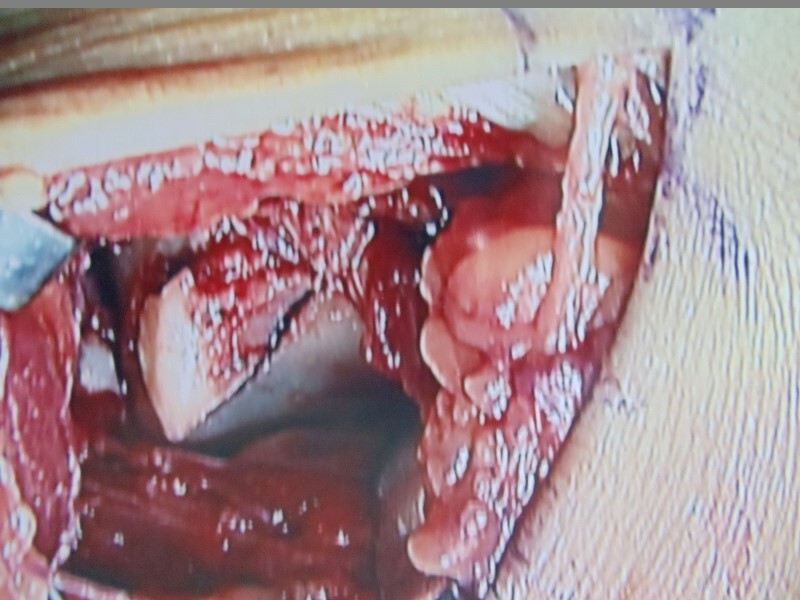 This type of injury has very poor prognosis if no action is taken, this injury necissitates open reduction with internal and/or external fixation for optimal outcomes. Below is a CT scan sequence of images that demonstrate a fracture through the talus body that also involves the subtalar joint and the ankle joint and thus is called an intra-articular fracture with some comminution that can be seen on the coronal image at the top right. 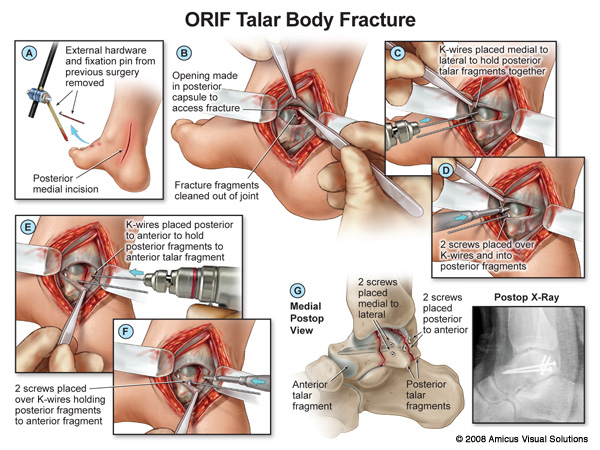 Intraop pictures of repair of talar body fracture (below). 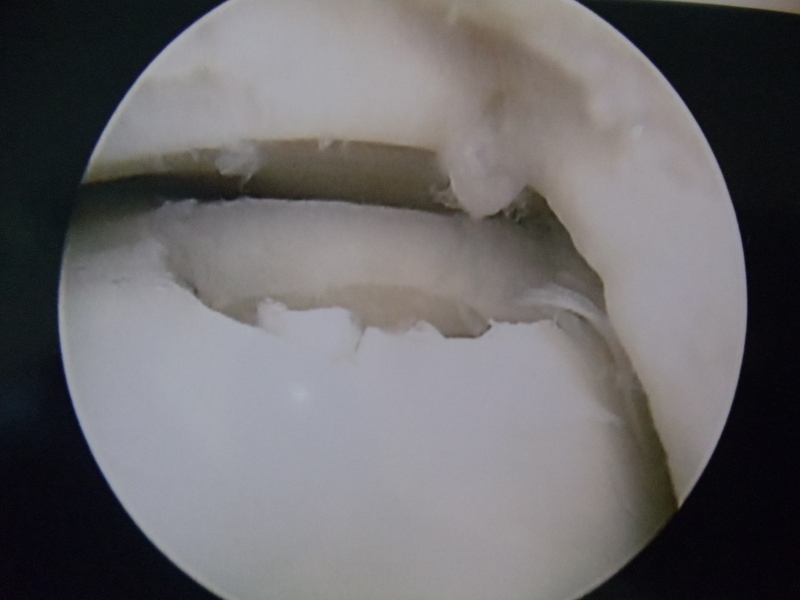 Konig in 1888 described “Osteochondritis Dissecans” in the knee. 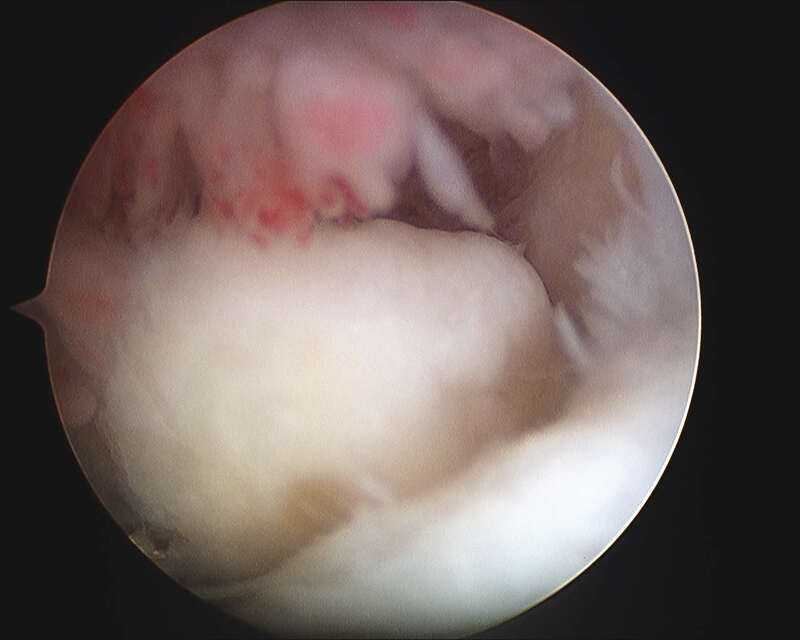 Distinct lesion with detachment of articular cartilage from subchondral bone forming a loose body. Kappis in 1922 described similar process in talus. 1959 Berndt and Harty provided great insight into the pathoanatomy and pathophysiology. Receives forces 5 – 10 times the body weight during normal ambulation. 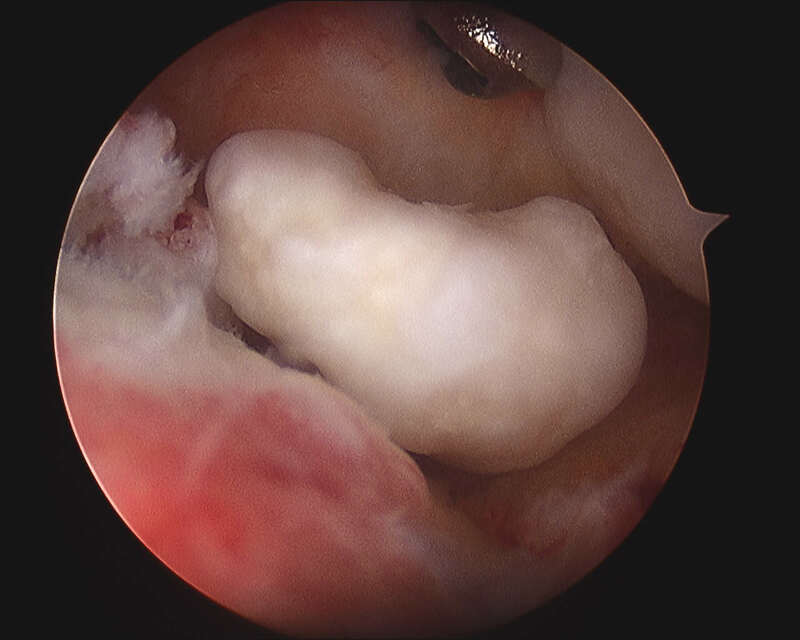 3/5 of surface is covered by articular cartilage. 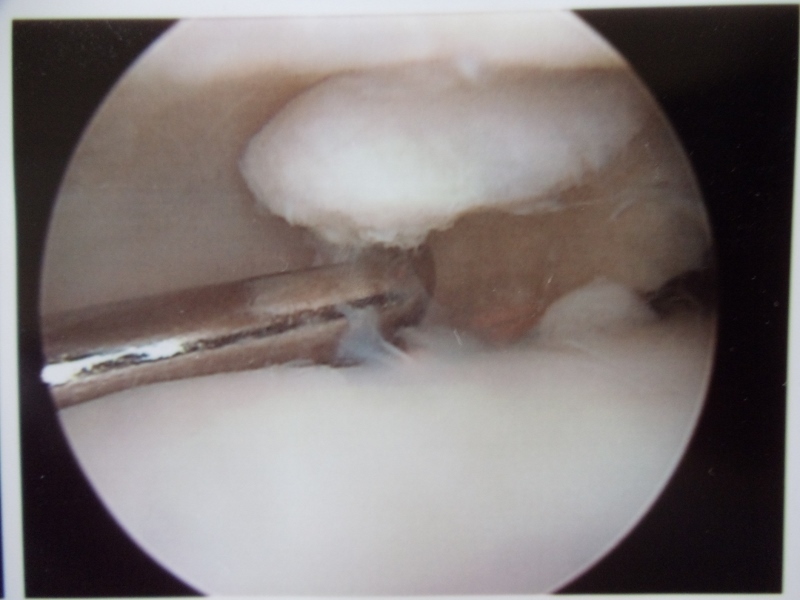 Articular Cartilage is 1 – 2 mm thick. 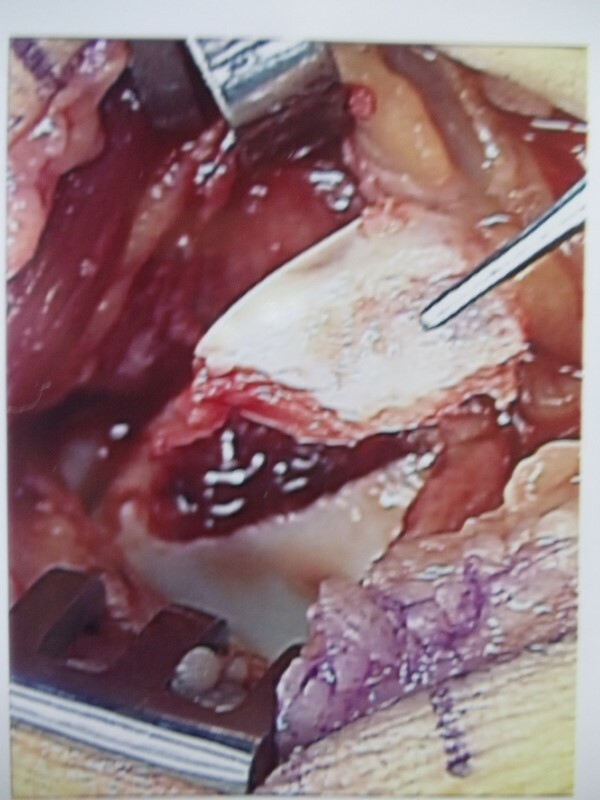 Berndt and Harty through cadaveric studies showed that the OLT was likely a result of trauma. Transchondral fracture of talar dome. Medial lesions were created when the posteromedial talar dome impacted the tibial articular surface during combined plantarflexion, inversion and external rotation. 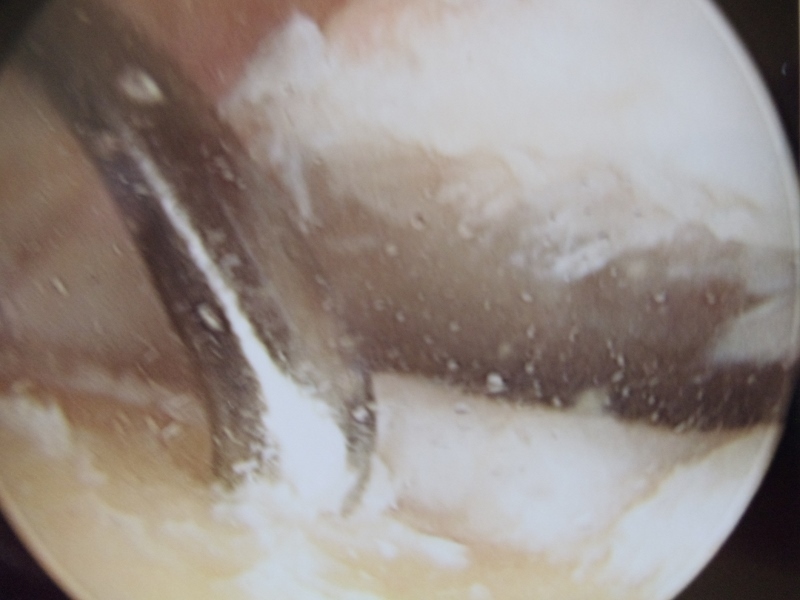 Lateral Lesions generated when the anterolateral talar dome impacted the fibula during inversion and dorsiflexion. Average Age Ranges 20 – 35 years. Male 70% : Female 30%. 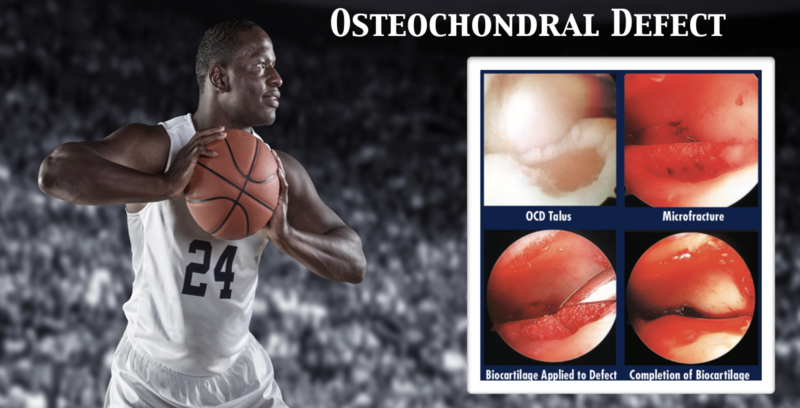 6% of patients with any hx of ankle sprains have OLTs. 38% of patientts with SER-IV ankle injuries have OLTs. 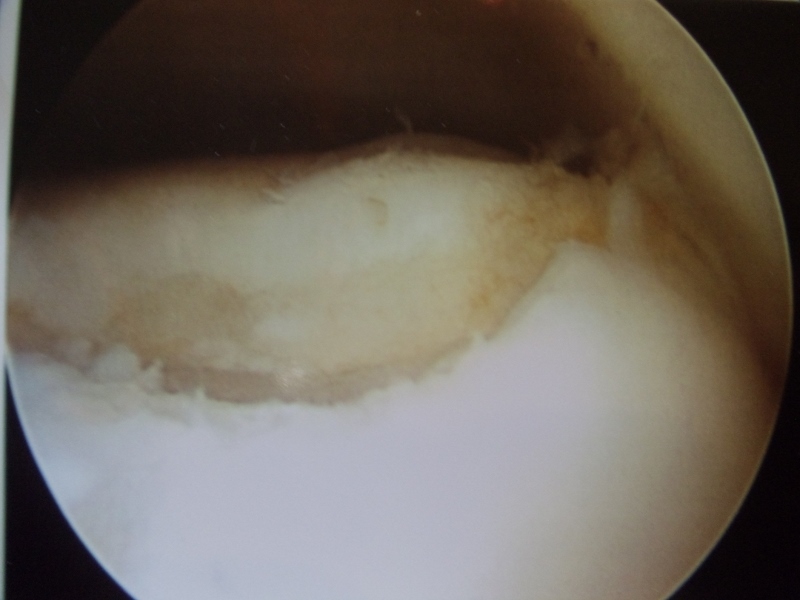 16 – 23% of patients undergoing lateral ligament reconstruction, have OLTs. MRI – modality of choice for suspected lesions. CT-Scan – modality of choice for known lesions. 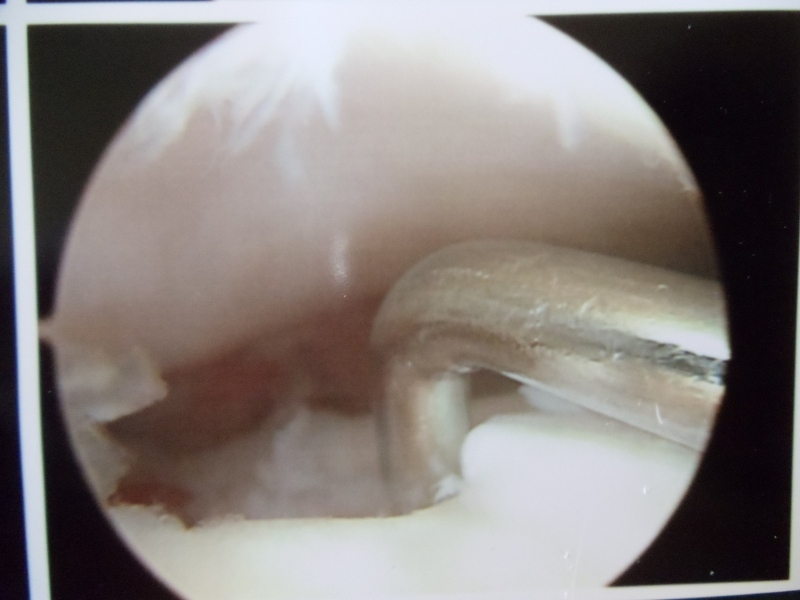 Trabecular compression fracture of the subchondral bone. Central lesions have also been described. Acute vs. chronic symptoms along with radiographic staging/severity of lesion dictate treatment. Initial management if no radiographic evidence of fracture or OLT. 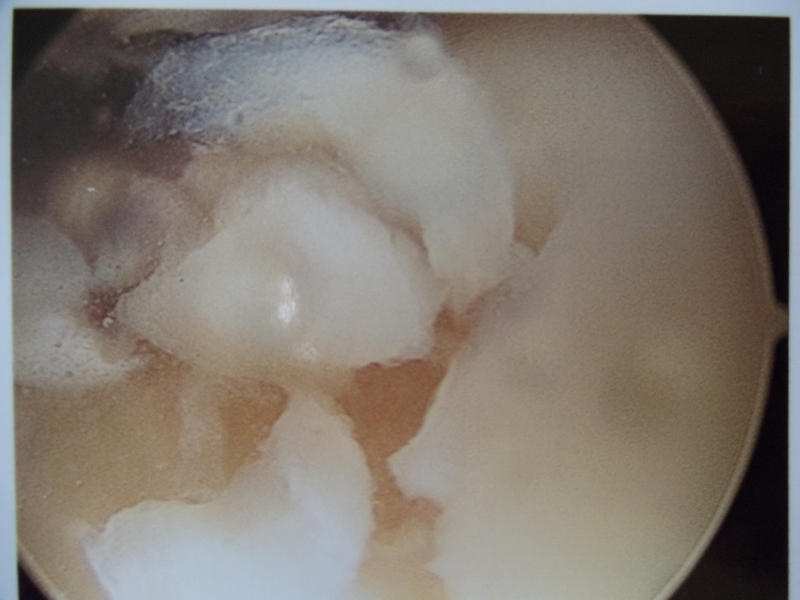 Condition of articular cartilage in question. With MRI Grade III lesions most attempt a 4 – 6 month trial of conservative therapy plus or minus immobilization. Immobilization for 4 – 8 weeks. 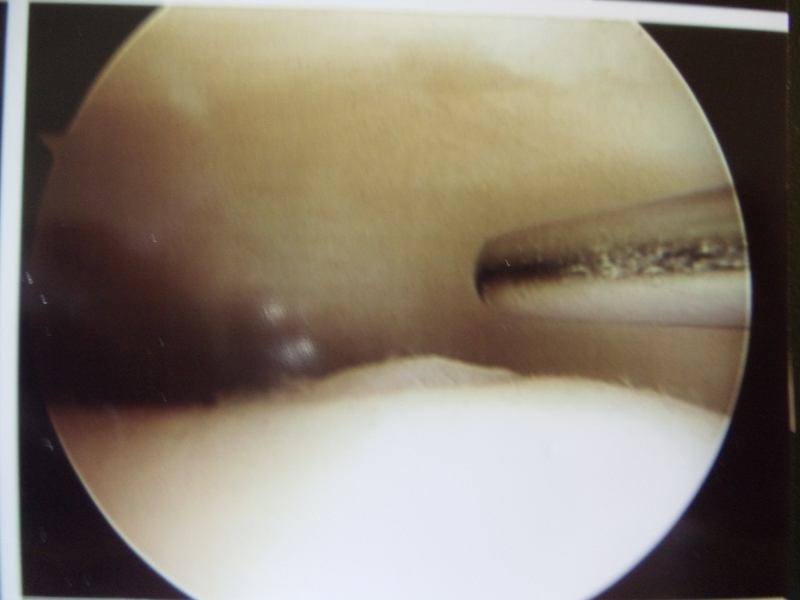 Lesion stability during arthroscopic evaluation. 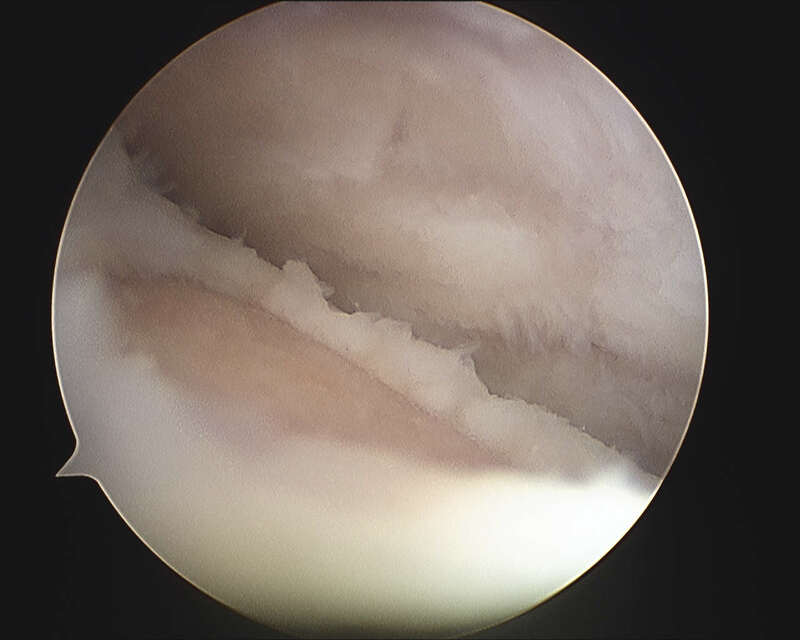 With MRI Grade III – V injuries = arthroscopic intervention. Depending on the location, size, and character of the lesion, various reconstructions may be performed. 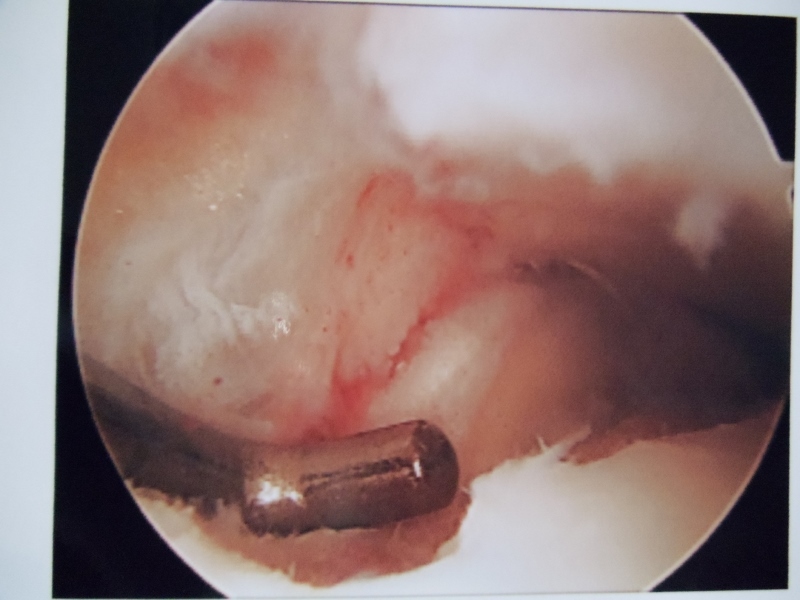 Intraop arthroscopic pics of talar OCD surgery. 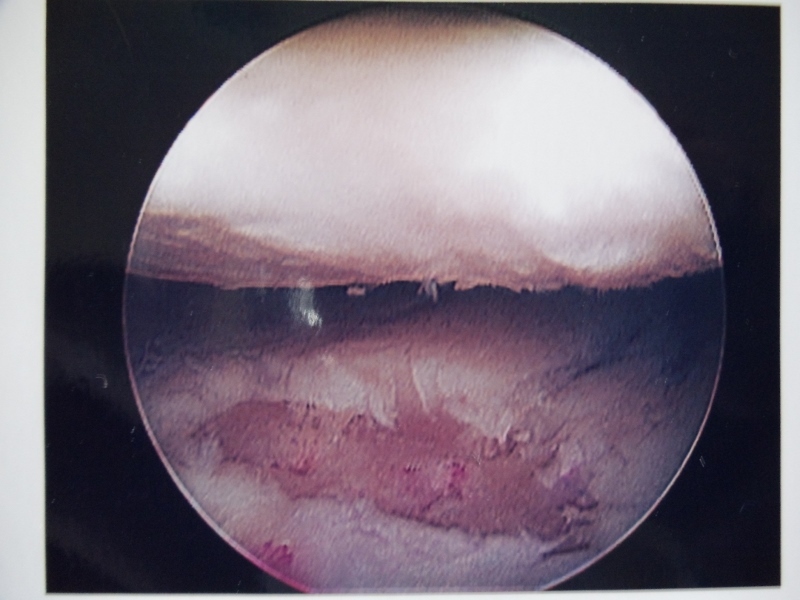 A series of intraop ankle arthroscopy pics of synovial chondromatosis with OCD talus and tibia and microfracture. 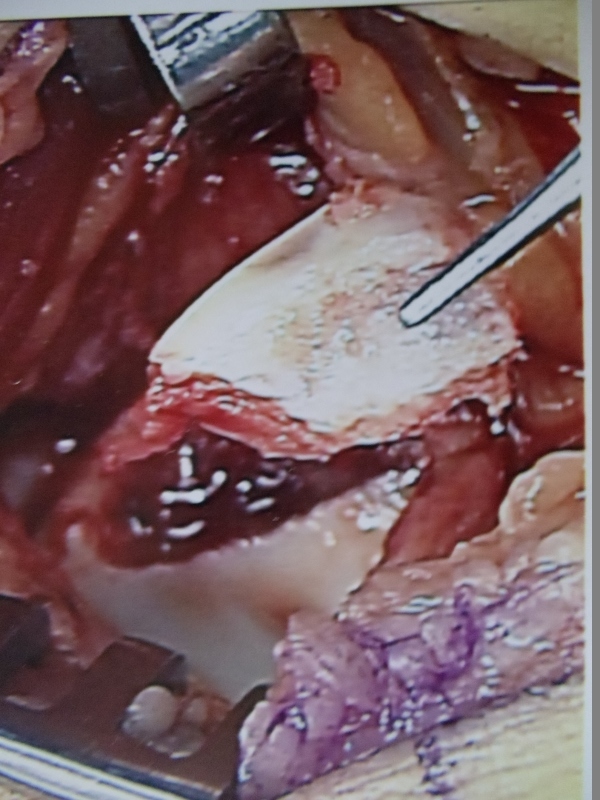 Pic of one of the nodules inside the ankle joint. Pic of an OCD in the talar dome due to pressure from the nodule. 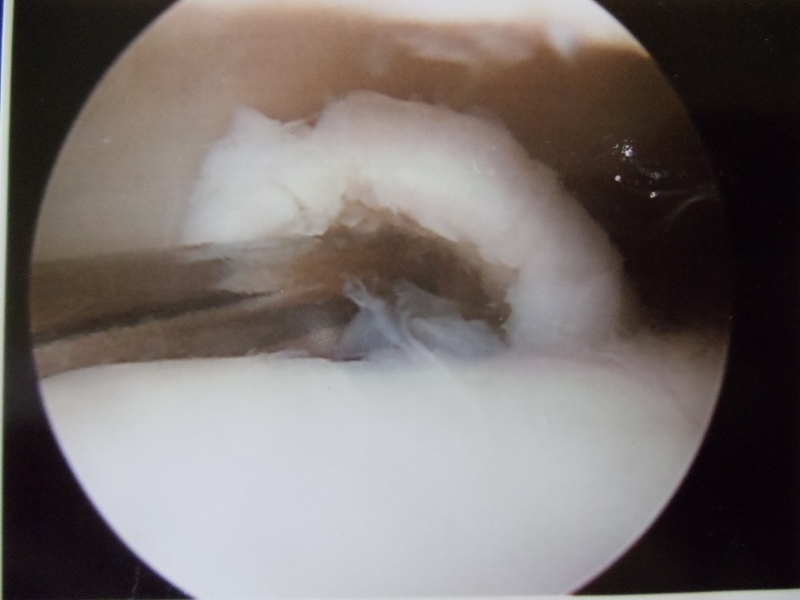 Pic after microfracture and debridement of above OCD.